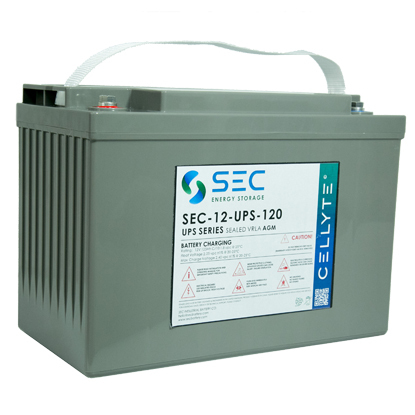 The UPS has been designed for high power applications. With a large plate surface area and efficient active material processing, it delivers high currents with minimal voltage drop. 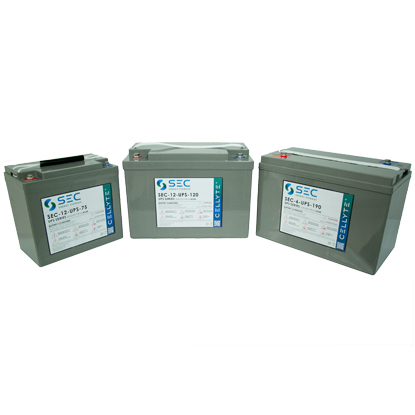 While the low corrosion, low resistance Alloy and the negative carbon additive work together to give you a battery that will give long service life, and perform well in critical conditions. Further to this, the CELLYTE UPS has an extremely well-balanced internal design. The amount of positive and negative active materials have been precisely calculated to to provide the highest available capacity. 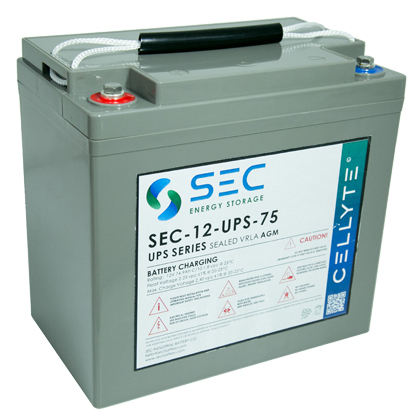 SEC’s CELLYTE UPS batteries are the first to use a CatVent(TM) catalyst in the cell headspace. This recombines the hydrogen and Oxygen gases produced during the charging cycle. 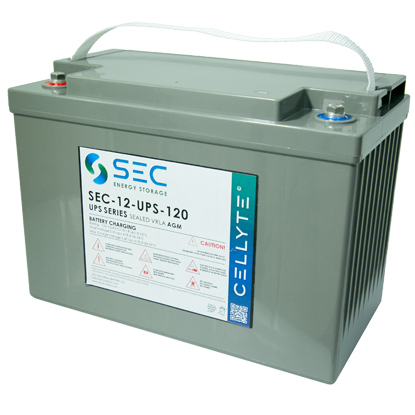 Batteries without this function are subject to depolarisation, which reduces the state of charge, increases the float current and reduces the lifespan. It also absorbs free oxygen in the headspace and recombines it with the hydrogen produced during charging. This reduces oxygen to the negative plate and lessens depolarization. In turn, you’ll see a reduction in corrosion and gas evolution at the plates. The CatVent(TM) catalyst provides longer battery life and lower running costs. Plus, the addition of the catalyst delays cell dry out and reduces cell heating, which will significantly lessen the risk of thermal runaway or accidental fire.